Sponge roll cake "Bird's milk" creamy taste buy for 2.4900 in store RussianTable with delivery. 200gr. 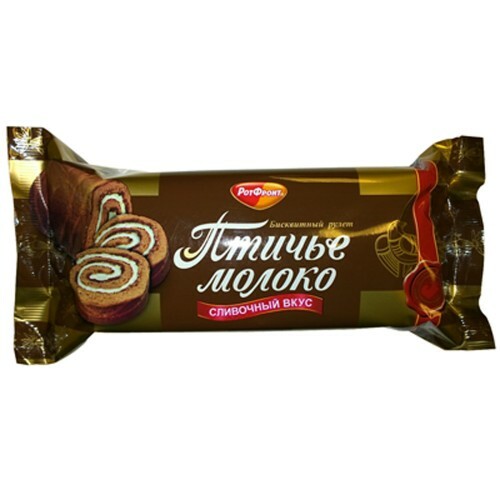 Soft biscuit roll with creame filling "Birds Milk" (Ptiche moloko). Do you have any questions about Sponge roll cake "Bird's milk" creamy taste?